Elaine, who lives in Harrogate, is delighted at having been chosen to join Club Star following in the footsteps of Halo’s Kirstie Bowdin. “I feel really happy and honoured. I have seen the great opportunities Kirstie has enjoyed since being part of the team and I can’t wait to be involved. Three time BHA finalist Joseph, himself a former member of the Fellowship’s F.A.M.E (Fellowship Academy of Merit and Excellence) Team, is overjoyed that two of his young stylists have been selected for Club Star – and is keeping his fingers crossed for the BHA finals in London in November. “To have two of my team in two years make the Club Star Art Team is a real achievement and I’m delighted. 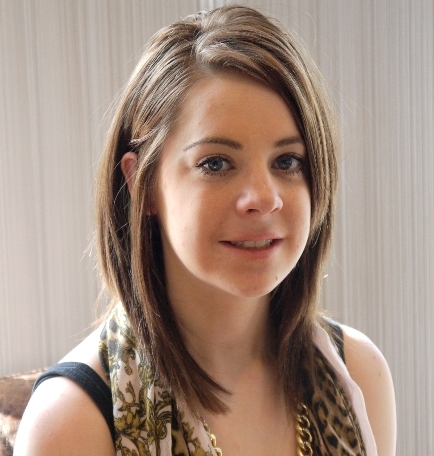 “Elaine, like Kirstie, is a talented young hairdresser and I look forward to seeing her develop her skills and expertise. “I am also delighted to have been picked as a finalist for the British Hairdressing Awards for the third time. “It is a real honour to have got this far as the competition is extremely tough. As a member of the Club Star Art Team, Elaine will be showcasing her talents at both Salon International and Pro Hair Live, honing her skills in training workshops run by the UK’s best hairdressers, as well as continuing to work at Halo.